Amazon S3 backup software is a client solution providing automatic data backup to Amazon S3 (where S3 means Simple Storage Service) cloud. 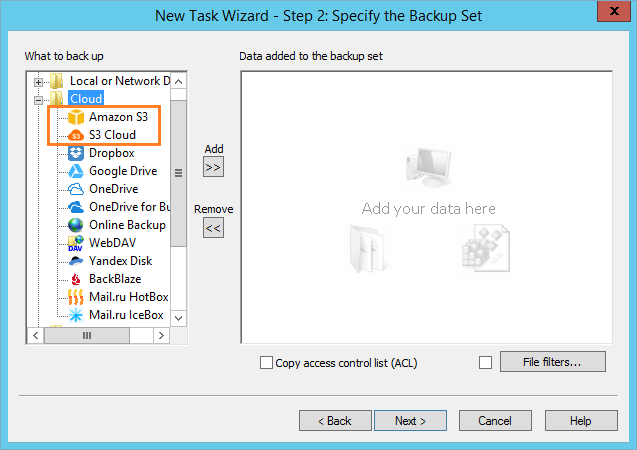 Handy Backup contains a dedicated S3 cloud backup plug-in allowing using it as the Amazon S3 client to store data copies on this cloud or other S3-based services. 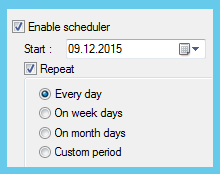 Controlling options like silently running as Windows service, email notifications and logs. 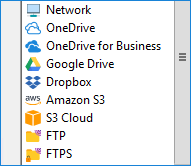 The Amazon S3 backup plug-in turns Handy Backup into the Amazon S3 backup client software with some additional functions and capabilities. Let us show some of these options. Local and external drives, NAS units, mapped drives and network machines. Entire drive images including bootable images of Windows or any other OS. Replicating user environment on some machines via the network. Note: Handy Backup does not require any third-party solution, utility or Web bridge service to serve as S3 cloud backup software. 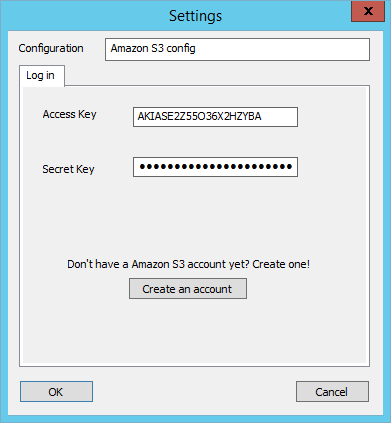 It performs all operations directly via the Amazon S3 API. The Professional edition distributes the capabilities of S3 cloud backup software to as many network machines as you need, allowing making Amazon S3 backup for any data out of the box! Free 30-days trial version! After successful connection, return to the Step 2 and select data you will plan to backup from Amazon S3 account. Next, continue creating a backup task according to the User Manual, setting such parameters as performing Amazon S3 incremental backup, encrypting and scheduling if you need it. For utilizing Amazon S3 cloud backup storage functions, please use the Amazon S3 plug-in on the Step 3 instead of the Step 2 of task creation. Again, you may need to establish a connection to your storage account, as it described before. 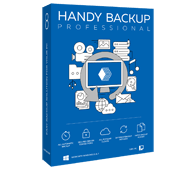 If you want to try Handy Backup software Amazon S3 plug-in personally, download the latest version of Handy Backup just now, to experience all its power for a 30-days completely free trial! Online backup software for partners.